Finally, today it’s “Ender’s Game” on. I have been game for this movie for quite a while. I read the book (“Ender’s Game” by Orson Scott Card) this summer, though everybody else read it a few decades ago. And somewhere back in time, the first time the Buggers invaded Earth, we beat them and sent them packing to their home planet. The military commanders knew they would come back and that a new kind of commander was needed to ultimately defeat this enemy. They observed kids and their strategy in video games as the kind of superior thinking needed for the ultimate battle in the future. So they draft the best kids at the age of 6 into service and train them for battle. For decades, they searched for a leader, and none were up to the task until Ender Wiggin (Asa Butterfield from Hugo). He is a misfit, and spends the entire mission trying to find his sea legs. With each successful battle simulation he gains confidence, but nobody believes he is the best, including himself. The only people who believe in him are his sister Valentine (Abigail Breslin from Zombieland) and Colonel Graff (Harrison Ford from Cowboys & Aliens), whose job is to push Ender beyond his limits. Even Graff’s faith in Ender is more out of desperation. The only real friend Ender makes is Petra (Hailee Steinfeld from Romeo and Juliet), who sees the “greatness in him” that Graff speaks of. The movie had the same dark tone as the book. For that, I liked it, though I understand for some that might be a problem. The introspective nature of this character – young Ender Wiggin – and his ascent to the commander’s throne is unlike anything we have seen on the big screen. Ender does not take control of his situation or the movie until the very end. Imagine a timid Luke Skywalker at 15 with the pressure of his destiny to save all mankind but no knowledge of the force – and with no Wookie by his side. 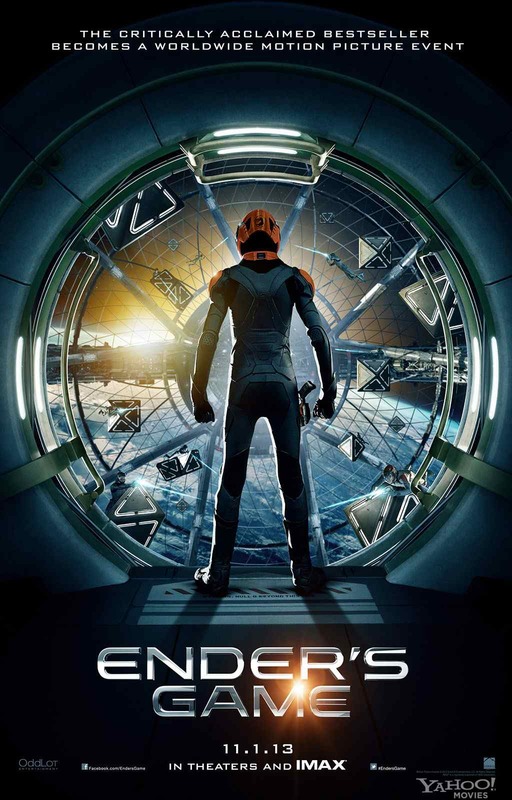 I liked “Ender’s Game.” As a science fiction movie I think it is awesome. As an action, adventure, fantasy, comic book movie, it requires too much thinking between the “wow that looked cool” moments. But I like to think, and I think I will give it 4 stars out of 5. See it, and let me know what you think.